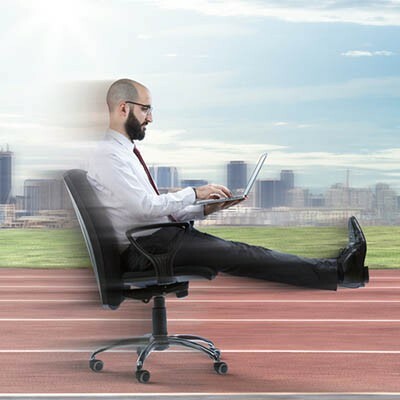 The personal computer is a remarkable tool, allowing us to accomplish levels of productivity and efficiency at speeds that were once only dreamed of… at least, that’s how it feels at first. However, it doesn’t take very long for a computer to seem like it drags on and on before performing the task requested of it. Why is that, and how can this be resolved? Look at it this way: it’s a lot easier to find a specific piece of paper in a well-organized space, than it is to find it in a cluttered mess--despite what anyone with an untidy desk might insist. A computer is the same way… the less junk gumming up the works, the better the computer runs. Between accumulated caches, fragmented files, cluttered desktops and hard drives, along with a host of other causes, there are plenty of means to slow down a computer. This means that there are also plenty of steps to getting a computer back up to speed. One of the major causes of a slow computer is simply a bogged-down computer, where old, extraneous files (and maybe even programs) are taking up invaluable space. For a relatively visible example, one only has to consider the desktop. Windows has to load and refresh these icons, taking up resources even there. This ties into a much less visible example, the unwanted or unneeded programs that often run in the background, using up even more of your very finite resources. Talk to IT about possibly having these cleaned up and out, because these may be one of your major problems. As one might imagine, malware can be a pain in more ways than one. One of these many ways is that, in addition to whatever unwanted task it is intended to carry out, it can drain your system’s resources in the process. It does this by storing itself in the system memory. This can slow your legitimate programs and processes to a crawl, as there aren’t enough resources to spare for them. Again, a trusted IT provider will be able to properly remove the virus or malware that is causing the issue, and as a result, you may see improved speeds from that alone. Your speed issues may be the result of some hardware problems that your computer has. For example, you may not have enough RAM (or Random-Access Memory) available to efficiently perform the task you are trying to do, or a part of your computer is malfunctioning, slowing down the performance of the entire system. A professional can easily assist you in identifying and resolving the issue, like upgrading your RAM or replacing the malfunctioning component. In other cases, it may be a better idea to replace the computer entirely, as older computers often have issues with more modern software, and therefore run more slowly. Evolution Networks can assist you with issues just like these, and more! For more information about our services, check out the rest of our website, or give us a call at 954-866-1600. For more handy technology tips, and other useful information, subscribe to our blog! Is E-Commerce an Option for You? 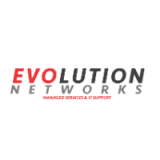 Evolution Networks has been serving the South Florida area since 2003, providing IT Support such as technical helpdesk support, computer support, and consulting to small and medium-sized businesses. It's always been our goal to provide enterprise-level IT practices and solutions to the small business sector, with small business prices. Our experience has allowed us to build and develop the infrastructure needed to keep our prices affordable and our clients up and running.